BROOKLYN – (RealEstateRama) — Attorney General Eric T. Schneiderman today announced an additional $20 million in funding for the fifth year of his Homeowner Protection Program (HOPP), as well as the launch of the Foreclosure Rescue Scam Prevention Initiative, a new grant program that will enhance outreach, education, and referral services for homeowners at risk of fraudulent foreclosure rescue schemes. This new $20 million brings Attorney General Schneiderman’s total investment in HOPP to $100 million since 2012. On top of the new $20 million for HOPP, the Office of the Attorney General is committing another $350,000 in new grants through the Foreclosure Rescue Scam Prevention Effort to housing organizations across New York City, Long Island, and the Hudson Valley, where foreclosure rescue scams such as deed theft have been most prevalent. The grants will allow the Office of the Attorney General and its partners to connect New Yorkers most vulnerable to foreclosure scams with the vital HOPP programs underway across the state. Since the Office of the Attorney General established the program in 2012, more than 70,000 families have received free, high-quality assistance to avoid foreclosure through HOPP, which has funded a statewide network of nearly 90 housing counseling and legal services organizations over the past four years. 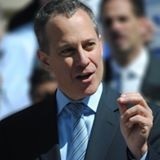 The funding for HOPP and the Foreclosure Rescue Scam Prevention Initiative comes from bank settlements that Attorney General Schneiderman secured through the federal-state mortgage-backed securities working group, which President Obama appointed Attorney General Schneiderman to co-chair in 2012. To date, the Attorney General has secured more than $95 billion in bank settlements nationally, with $5.5 billion coming to New York State alone. That settlement money has been allocated toward a range of initiatives across the state to help communities recover from the housing crisis. Foreclosure rescue scams target vulnerable homeowners and, for an upfront fee, generally promise to save their homes by negotiating lower mortgage payments or principal reductions with the homeowners’ mortgage servicers or lenders. After collecting upfront fees, these scam operations fail to provide the services promised, placing their victims at even greater risk of foreclosure. In some instances, scammers actually convince the homeowners to sign over the title to their home. To protect yourself from becoming a victim of a foreclosure rescue scam, the Attorney General offered the following tips. New Yorkers can visit AGScamHelp.com or call 1-855-HOME-456 for more information. Visit AGScamHelp.com to determine if a company is legitimate. Do not give your personal financial information, such as your bank account number, social security number or the name of your loan servicer, to a caller offering to help save you from foreclosure. Your bank will already have this information. As with the foreclosure crisis itself, New Yorkers have been hit hard by the foreclosure rescue scam epidemic. According to a 2014 report by the Center for New York City Neighborhoods and the Lawyers’ Committee for Civil Rights Under Law, from March 2010 to September 2014 New York homeowners submitted over 2,700 foreclosure rescue scam complaints, which documented at least $8.25 million in losses. On average, each New York victim of a foreclosure rescue scam reported a loss of $4,183. However, these scams often result in a domino effort that raises that dollar figure: Homeowners can end up losing tens or even hundreds of thousands of dollars more because their homes fall into foreclosure as a direct result of the scam. More recent statistics indicate that such rescue scams continue to be a significant problem. As of February 2016, the New York City Department of Finance had 525 open investigations of mortgage rescue scams involving 671 properties across the five boroughs, mostly in Queens and Brooklyn. The Foreclosure Rescue Scam Prevention Initiative used sophisticated data analysis provided by the firm Civis Analytics to identify the most vulnerable homeowners at risk of being victimized by foreclosure rescue scams. Using reported cases of foreclosure rescue scams collected by community organizations in New York, Civis Analytics built a predictive model identifying residents most at risk for these types of scams. The model incorporates demographic, socioeconomic, and geographic variables, as well as information on homeownership, property value, and length of residence. This predictive model incorporates sophisticated data analytics tools to identify the communities and residents who are most at risk of being victimized by foreclosure rescue scams. The Foreclosure Rescue Scam Prevention program will support outreach efforts to help prevent foreclosure rescue scams targeted to the most vulnerable communities and families. While such scams are a problem statewide, the initiative is making initial grants in those areas of the state where the problem is most widespread. “I am especially pleased to see some of these resources coming directly to Bedford Stuyvesant where foreclosure prevention is more important than ever amid rising prices and deed theft in particular has become a serious issue. I am so proud of Attorney General Schneiderman who has displayed a strong devotion to preserving the homeownership of our residents,” said Senator Velmanette Montgomery. “I commend the Attorney General’s initiative to assist and protect our most vulnerable constituents through the Homeowner Protection Program, community outreach and education campaigns. Far too many homeowners have been hit with these foreclosure rescue scams, and as these scams grow in prevalence and sophistication, so must our efforts to combat this criminal activity and protect our most vulnerable citizens,” said Assemblyman Walter Mosley. The Office of the Attorney General has taken several steps to combat foreclosure rescue scams. In December 2014, the Office of the Attorney General launched AGScamHelp, a web-based app designed to help homeowners avoid scams and find legitimate assistance. Since the launch, more than 140,000 people have used the site. The site allows a consumer to search the name of an individual or company to determine if that entity is a “government-vetted” agency (that is, either a member of the HOPP network or a HUD-certified counseling agency); it also allows consumers to enter their zip code and find the nearest HOPP grantee. It provides tips on how to identify signs of a foreclosure rescue scam, and allows consumers to file complaints online. The Office of the Attorney General has also partnered with publishers and broadcasters to tamp down on illegal advertising of foreclosure rescue scams; pursued civil litigation against foreclosure rescue scammers, putting them out of business, securing settlements, and in some instances obtaining restitution for victims; and created a Real Estate Enforcement Unit within the OAG’s Criminal Division to handle complaints including foreclosure rescue scams. Several investigations are currently underway.